The Beauty of Life: Drybar Gives Me a Perfect Blowout AGAIN. Drybar Gives Me a Perfect Blowout AGAIN. The photo you see above is evidence that the blowouts at Drybar are just perfection personified. This was taken on my birthday last week (happy birthday to me! ), after I decided to do something different than my typical Manhattan blowout at the salon. After looking through Drybar's menu of blowouts, my stylist and I decided on the Mai Tai. Now that my hair is finally past its weird layers growing out stage, I feel I can do more than just wear it straight all the time -- and the Mai Tai was perfect, as it's wavy and bouncy but not too done. After a thorough blowout with a round brush, my stylist took a curling iron to small sections all over my head. And while it looked pretty Shirley Temple-esque at first, the curls fell just right within 10 minutes and left me with the most perfect beachy waves. 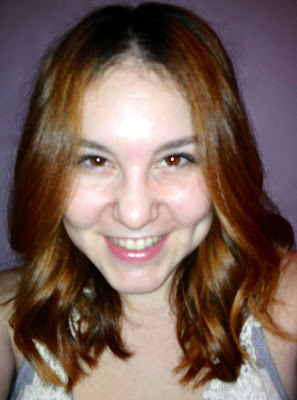 I felt like a million bucks on my birthday and it was all thanks to Drybar! I can't wait to get the Mai Tai again. To book an appointment at Drybar's multiple locations, visit thedrybar.com.